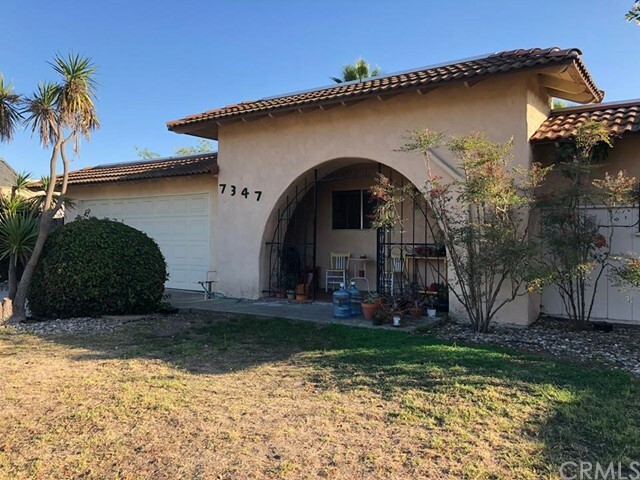 All Goleta homes currently listed for sale in Goleta as of 04/25/2019 are shown below. You can change the search criteria at any time by pressing the 'Change Search' button below. "Villa della Costa overlooks Santa Barbara's Gaviota Coast and its vast panorama of spectacular untouched seaside landscape with breathtaking 360 degree views of the mountains, pastoral countryside, Pacific Ocean and Channel Islands. The estate was conceived to reflect a passion for privacy, quality and the ever-inspiring drama of this remarkable setting. Newly built and completed in 2014, by architect J.M. Sewall & Associates with interior finishes designed by Mark Weaver & Associates, the result is a perfect fusion of early California style with today's demand for modern technology, convenience and comfort. Surrounded by large coastal ranch properties, all 106 acres were hand-picked for optimum privacy and views, an ultimate hideaway." "Steeped in a romantic & serene provenance, Vistas del Refugio, set atop 21 pristine acres, encompasses the style, sophistication & rustic flare of a hilltop outpost with the drama of sweeping mountain, island & coastline views. Replete with multiple dwellings, the main home features a California style open floor plan, as wood floors dance across a blended living & dining room w/vaulted ceilings & walls of glass framed by breathtaking vistas. A bright & spacious chef's kitchen w/stone counter tops, high-end Viking appliances + center islands opens with dramatic effect to a patio & hot tub beyond. Three bedrooms + 3 baths, including a master suite w/dual vanity bath, were all designed to capitalize on the epic beauty of the home's surroundings, whilst a fully self contained 1 bed/bath cabin w/kitchen & patio compliment the creative energy of a 1bed/bath trellis-covered yurt w/bbq patio & access to hiking trails. Fully approved plans & permits for a cabana for the pool." "Wonderfull 81 acres secluded in Refugio Canyon. There are stunning ocean and island views. Surrounded on three sides by the old Tajiguas Ranch, and to the North by the Dos Vistas Ranch. It is at the head waters of the Tajiguas Creek. Home to an unbelievable assortment of wild life, just like a private wildlife preserve. The main residence is an authentic structural adobe. Sixteen inch walls, heavy 6x8 beams, Satillo tile floors, Duel pane pella windows, two wood stoves and a large fireplace. There are three bedrooms, two baths, one with a tub. Built by hand by the original owner over an eight year period, it is fully permitted hideaway. The adjoining 40 acre parcel, could support an additional family compound. An Accessory structure is currently being built on this parcel." "Nestled on a private, tree-lined lane, this stylish one-bedroom cottage is located in the beautiful Meadows planned unit development in Goleta. The home features gorgeous luxury laminate flooring, vaulted ceilings, and plenty of light from the large windows. The bright kitchen has been updated with new cabinets, granite counter tops, a double stainless-steel sink, and an extra deep pantry. The master bedroom is spacious, has an en suite bath, and features sliding glass doors that open to the back patio. This floor plan offers an additional room that could be used as a dining room, home office, or den, and the attached two-car garage provides plenty of additional space. A private back patio offers a delightful area for outdoor dining, too. The only shared wall is the garage so this feels much like a single-family home. The Meadows is a beautiful planned unit development (PUD) on 26 acres that features a dog-friendly park, tennis court, and RV storage. PUDs are much like single-family homes in that homeowners own their land, but they also have the benefit of shared amenities. This lovely community is centrally located in the Goleta Valley and within walking distance of shopping, restaurants, the library, a movie theater, and parks." "Situated on the top floor, this prime unit with full-length oversized balcony is centrally located in the beautiful La Goleta community. Recently updated, the renovated one bedroom, one bathroom unit is move-in ready, with dual vanity his and hers sinks, a spacious kitchen with granite counters and stainless steel appliances, and new plumbing fixtures throughout. Recessed lights with dimmer switches dot the smooth ceilings, along with ceiling fans meant to make you as comfortable as possible. Light floods the rooms throughout the day, as cool ocean breezes infuse the atmosphere within. You'll never want to leave home. This lovely condominium directly overlooks it's dedicated parking space, with ample more permit or street parking available. HOA fee covers water, trash, and earthquake insurance. Amenities include community BBQs, pools, and laundry facilities. A stone's throw away from the beach and Santa Barbara proper, you are conveniently located for immediate access to UCSB, free"